NORTH LAS VEGAS, Nev. — An escaped murder suspect, accused of killing a man for not holding a door open for a woman at a McDonald’s, has been apprehended after a four-day manhunt, reports CBS affiliate KLAS. Alonso Perez, 25, was taken into custody by Las Vegas Metropolitan Police after a standoff at a house Tuesday night. Neighbors told KLAS that police and the FBI surrounded the home for about three hours before taking the suspect into custody. Perez had been at large since Sept. 2 when he escaped from an interrogation room at the North Las Vegas Police Department. Police say he was able to break out of his handcuffs while a detective was out of the room. 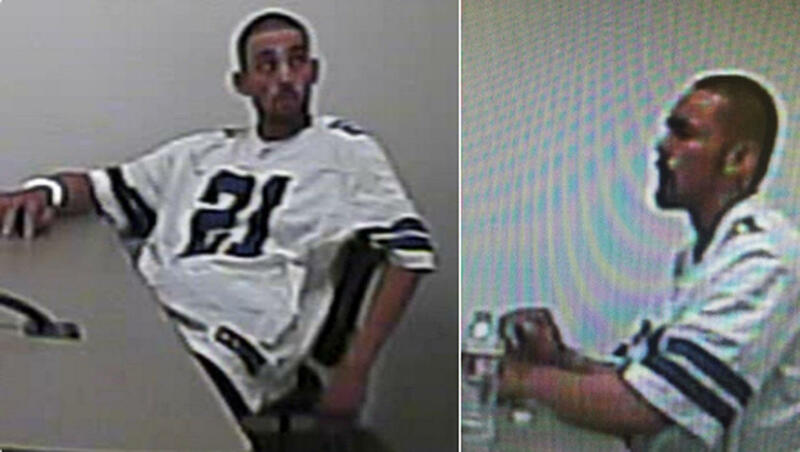 North Las Vegas Police say Perez stole a work truck that was later recovered east of downtown Las Vegas. He is suspected in the deadly shooting of 31-year-old Mohammad Robinson outside a McDonald’s restaurant on August 27. Witnesses told police that Perez and Robinson got into an argument after Robinson didn’t hold the door open for a woman. According to the Clark County Detention Center’s booking files, Perez faces several charges, including: domestic battery, discharging a gun at or into an occupied structure, vehicle, or craft and assault with a deadly weapon. Additional charges are possible.